Do you prefer to warn the stranger of their sin by open air evangelism? Do you prefer to wait until some one asks you for the reason you believe? Or maybe you prefer to invite people to your church where they can find a community of believers to help them grow in their discovery of Christ. 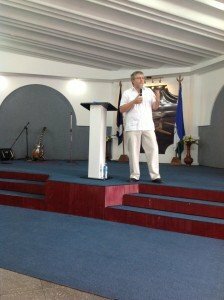 If you’re the preaching pastor, is your style to connect every sermon to the gospel? 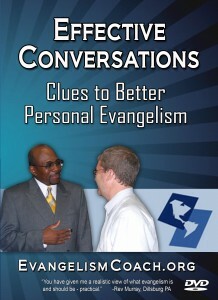 There are many different styles of evangelism, but only ONE gospel. There are different approaches to sharing that gospel, but only ONE gospel. So my preferred style of sharing my faith doesn’t diminish other styles, as long as we get to sharing the gospel of Christ along the way. 1. Watch for the prompting of the Holy Spirit. Allow the Spirit of God to indicate where He as at work and join Him in that dance of cooperation. It might be a nudge, a supernatural awareness, a word of knowledge, a sense of spiritual “highlighter” over a person or situation. This is personal evangelism as prompted by the Holy Spirit. 2. Watch for evidence of spiritual thirst. Spiritual thirst is what opens the doors to great spiritual conversations. I write about this elsewhere on the blog, so follow this link to the spiritual thirst tutorial. 3. Discern your place in the evangelistic journey. The conversion process is not always instant or dramatic like the Apostle Paul’s. 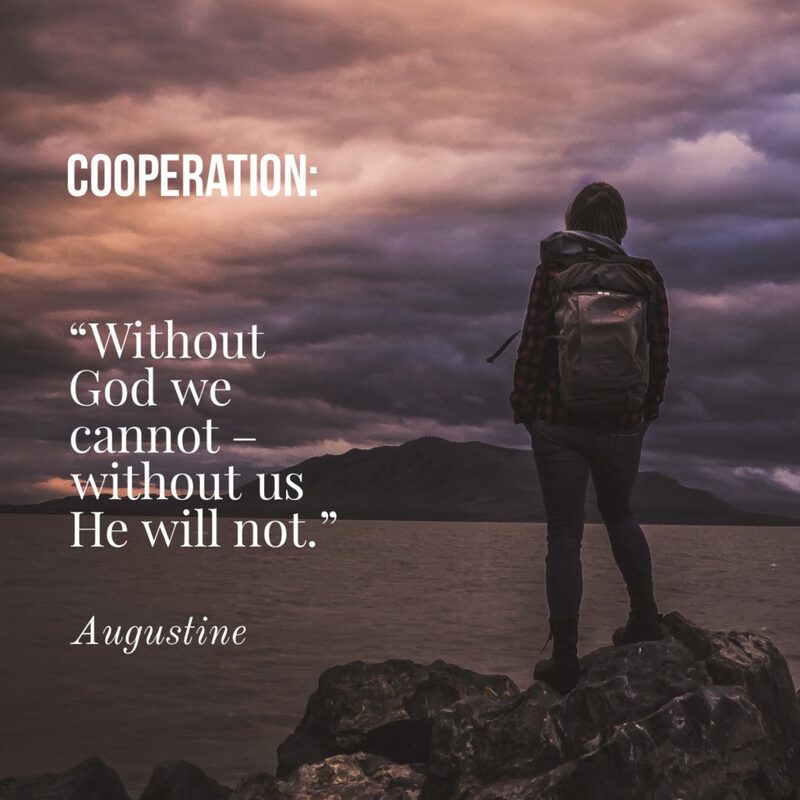 Often there is a journey of awakening, gathering evidence, reflecting on information learned, doing some reading, and talking out loud with friends about what one is learning of God. It is a process of sowing, watering, cultivating, tending, weeding, and preparing a fruit for harvest. Watering what God is already doing. Harvesting a seed that God has prepared. 4. Discern and suggest a next step of growth. You might be having a great spiritual conversation around the topic of their spiritual thirst. People are not always ready to repent and place their faith in Jesus. It is easy to discern if the Holy Spirit is bringing conviction of sin. Other times, it seems like the person is only gathering information. Share the gospel in a nutshell. Share an aspect of your personal journey to faith. There are plenty of next steps and I know that God will often guide you into suggesting the right one. 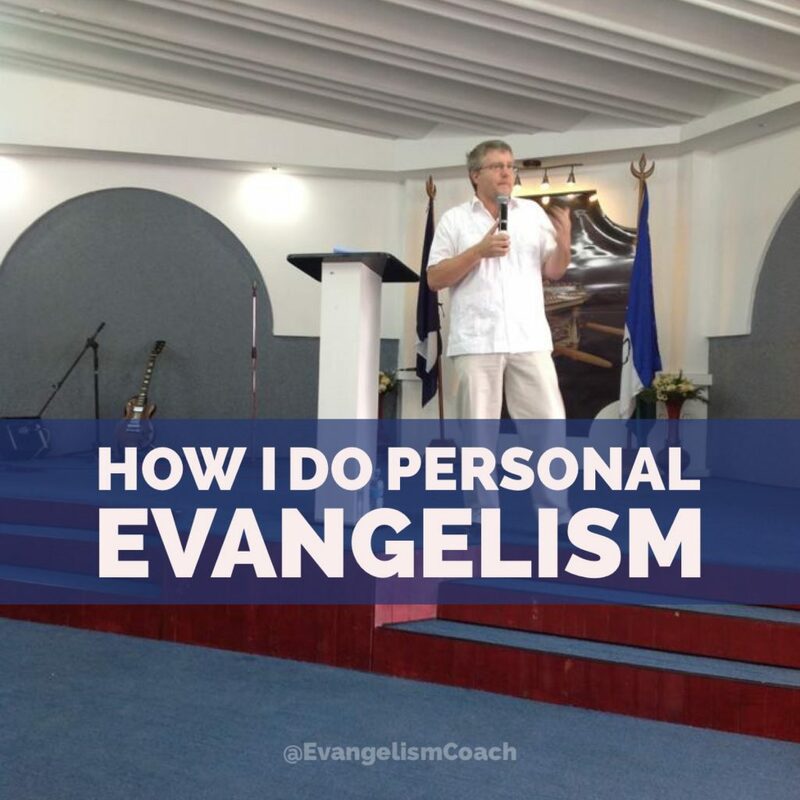 Personal evangelism doesn’t have to be hard. Sharing your faith doesn’t have to be overly complicated. Boiling down a process of evangelism that has worked for me for over 20 years has led to countless conversations, an uncountable number of new disciples, and baptisms of new believers. I’m a living testimony that evangelism doesn’t have to be difficult, hard, or even scary. It is a recording of a live seminar I gave in 2012 and comes on 3 DVDs. The information about how a ministry can grow, are important lessons that may be very important to our young growing ministry. I therefore would like to be in touch to grow in them to build our ministry to some heights.